Do I get to select which pet I want to foster? Yes, in most cases. 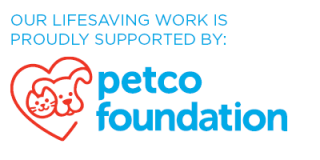 We want you to feel comfortable and have a vested interest in the animal you are fostering and feel that allowing to choose your foster helps facilitate this. When known, we do our best to disclose any known behavior issues to you. If we feel you are a good match for a particular pet we may contact you directly. Generally you will have a foster pet for one to three weeks, generally a little longer for cats, however it can be less if you are fostering a popular breed or a really cute puppy or kitten. Some pets may need more time due to age, illness, injury or behavior issues. After 30 days you may request that your foster be reassigned. What supplies will be provided to help me care for my foster? We will supply any prescribed medication or medical equipment, food, leash and a collar with OFOSA ID tag. Upon request and availability, we may be able to supply a crate, puppy training pads, newspaper and toys. If you do need to check out supplies from us, please make sure you return them after your foster gets adopted unless you will be immediately fostering again. What if my foster becomes sick? All vet care must be pre-authorized by OFOSA. You will be given a list of contacts when you are approved as a new foster. Please contact our Medical Director should your foster pet become ill, even in the event of an emergency. 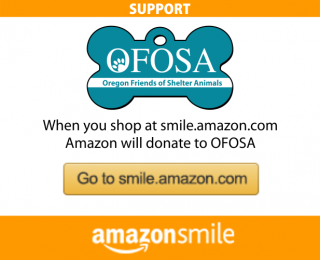 In the event that your foster needs to see a vet, all medical costs will be covered by OFOSA. You may be asked to transport your foster to and from the vet appointment. Can my own animals become sick from my foster? This can be a risk you face as a foster. In most cases this will not be an issue if your pets are current on their vaccinations. We make every effort to ensure our rescue animals are healthy and quarantine them at the clinic if something serious is suspected. All rescue animals are examined during intake and receive vaccinations, worming, and flea treatment. All dogs are tested for the Parvo antibodies and cats are tested for FIV and FLeuk. For dogs, we recommend vaccinating your own pets for Bordatella (Kennel Cough) every six months rather than once a year. Do I have to keep my foster dog indoors? No, however we ask that you keep your foster dog indoors at night and while you are gone. Many dogs will try to escape since they are in a new environment and if left outdoors alone for too long. You are not required to crate your foster dog however it is recommended that you crate your foster when you are not home with them. Do I have to keep my foster cat indoors? Yes. This helps prevent the spread of disease and keeps them from running off, being hit by a car or falling victim to other risks outdoors. What if my foster pet isn’t working out? 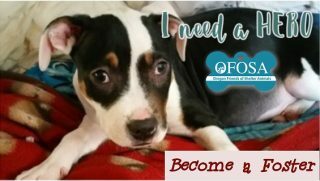 Contact OFOSA immediately to relocate your foster. Please give as much information as possible so we can share behavioral issues with potential fosters and adopters. 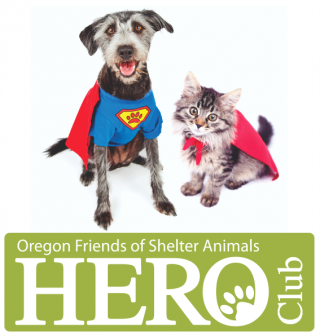 Contact the OFOSA office if you need to make other arrangements for your foster pet. Please give us as much advance notice as possible and we will find another available foster or your foster pet may stay at the clinic. Some fosters hire a dog sitter to watch their fosters while they are out of town but this is at their own expense. What if I don’t like a prospective adopter? We value your opinion. If you are uncomfortable with a prospective adopter just let us know your reasons and we will work with you to make the best match for your foster animal. We discourage all foster parents from adopting their first foster animal. Keep in mind that the first few foster experiences can be emotional as you’ll become attached to your foster and may be tempted to adopt to avoid saying “goodbye”. We assure you this becomes easier over time and finding your foster a new home is very rewarding. As an adopter you are saving one animal’s life but as a foster you have the opportunity to save many, many more animals. Can I rename my foster pet? You may call your foster pet anything you want in your home. We ask that you refer to your foster by the name given to them by OFOSA with interested parties and at the OFOSA clinic to eliminate any confusion.